A procurement may not be set aside for SDVOSB concerns without also including mandatory VA set-aside VAAR provisions, including the limitation on subcontracting. 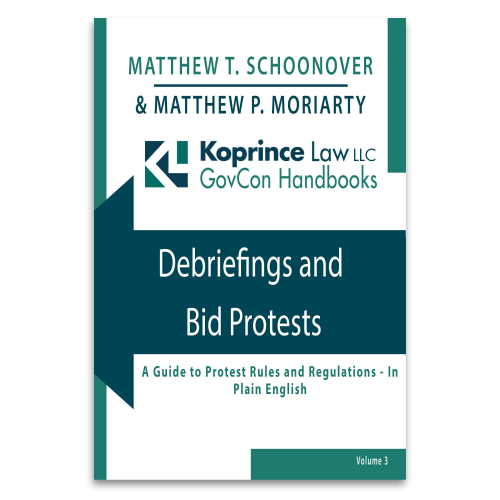 In a recent bid protest decision, the GAO held that a solicitation was flawed where the cover sheet indicated that the solicitation would be set aside for SDVOSBs, but the solicitation omitted the mandatory VAAR SDVOSB set-aside clause. Office Design Group, B-415411, __ CPD ¶ __ (Comp. Gen. Jan. 3, 2017) involved a procurement for office furniture installation for the Department of Veterans Affairs. The procurement was designated as a total Service-Disabled Veteran-Owned Small Business set-aside on block 10 of Standard Form 1449 (the standard cover sheet for commercial items procurements). As a total SDVOSB set-aside procurement, VAAR 819.7009 required the Contracting Officer to incorporate VAAR 852.219-10, VA Notice of Total Service-Disabled Veteran-Owned Small Business Set-Aside. 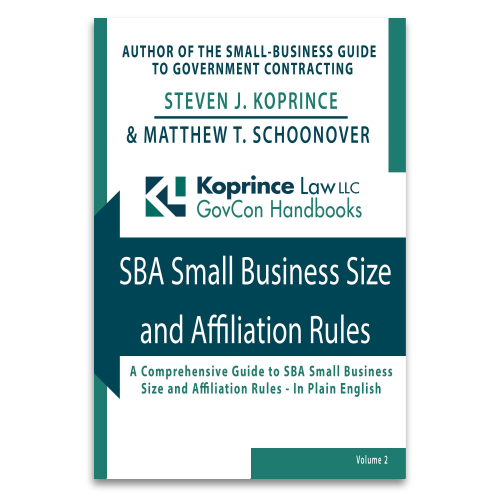 Of importance here, VAAR 852.219-10(c) incorporates the SBA’s limitation on subcontracting requirements found in 13 C.F.R. § 125.6, which, for this supply and services contract, prevents the prime contractor from paying more than 50 percent of the amount paid by the government to non-SDVOSB subcontractors. Before the deadline for proposals, one offeror contended there was a general lack of SDVOSB contractors capable of performing the installation work, which made compliance with the limitation on subcontracting difficult. In response, the VA amended the Solicitation to eliminate VAAR 852.219-10 and references to the limitation on subcontracting. SF 1449, however, continued to state the contract was set-aside for SDVOSB concerns. Two days before the close of proposals, the president of Office Design emailed the contracting officer noting that while SF 1449 still listed the procurement as set-aside for SDVOSBs, the removal of VAAR 852.219-10 created an ambiguity as to whether the solicitation was actually set-aside. The VA responded that SF 1449 still indicated the procurement was set-aside for SDVOSB concerns, thus the procurement is set-aside. Nine days later, Office Design protested the ambiguities within the Solicitation before GAO. As a preliminary matter, Office Design’s protest raised questions regarding its timeliness. The VA alleged that Office Design’s protest was an untimely protest of patent ambiguities within the Solicitation, which needed to be protested prior to the due date set for the receipt of proposals. Office Design, on the other hand, argued it had timely challenged the Solicitation’s terms at the agency level when it emailed the agency requesting clarification of the ambiguity resulting from the removal of VAAR 852.219-10. In GAO’s eyes, Office design’s email raising concerns with the ambiguity of the procurement’s SDVOSB set-aside status resulting from the removal of VAAR 852.219-10 from the Solicitation expressed frustration with the Solicitation’s terms and requested the agency clarify the ambiguity. In other words, Office Design’s email “express[ed] dissatisfaction with an agency decision and request corrective action.” Taking the VA’s email response on September 19th as a denial, GAO concluded Office Design’s GAO protest timely followed an agency-level protest. GAO sustained Office Design’s protest and recommended any awards be terminated and the Solicitation be revised to include mandatory provisions, as necessary. GAO’s decision in Office Design shows that when it comes to set-asides, an agency cannot have it both ways. Here, the VA was trying to execute an SDVOSB procurement without including the associated limitations on subcontracting. But the limitations on subcontracting are part and parcel of the VA SDVOSB program because of their inclusion in VAAR 852.219-10. As such, the VA could not have one without the other, and its attempt to do so resulted in an ambiguous and flawed solicitation. This entry was posted in GAO Bid Protests, Service-Disabled Veteran-Owned Small Businesses and tagged 13 C.F.R. 125.6, Limitations on Subcontracting, patent ambiguity, SDVOSB set-aside, SF 1449, VAAR 852.219-10. Bookmark the permalink.